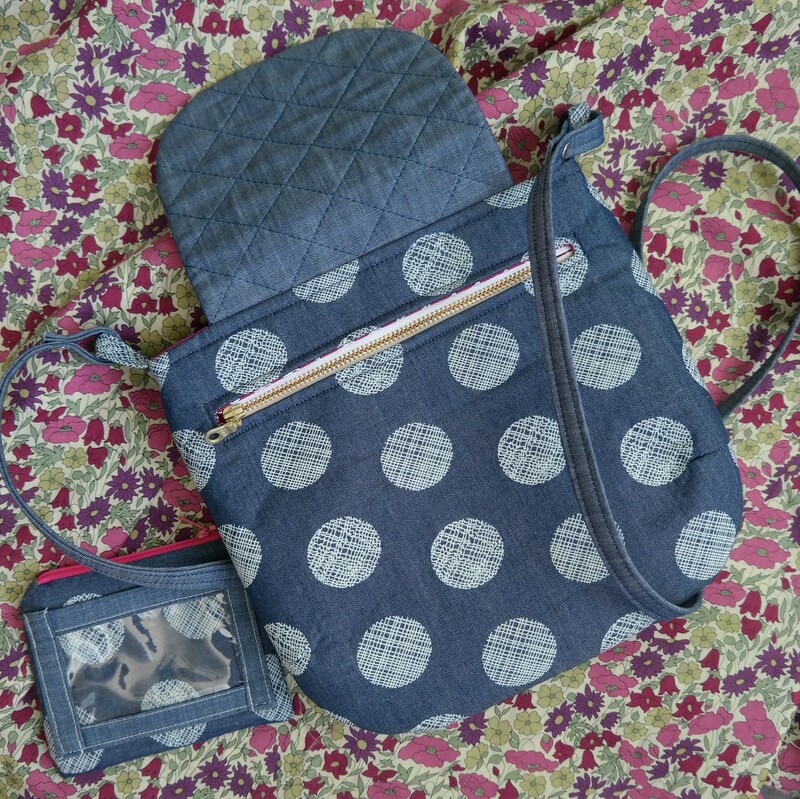 This is the third Gatherer's Crossbody bag I have made using Noodlehead's free pattern. This one is made for my swap gift for the Stash Sewciety Retreat I am attending this week. 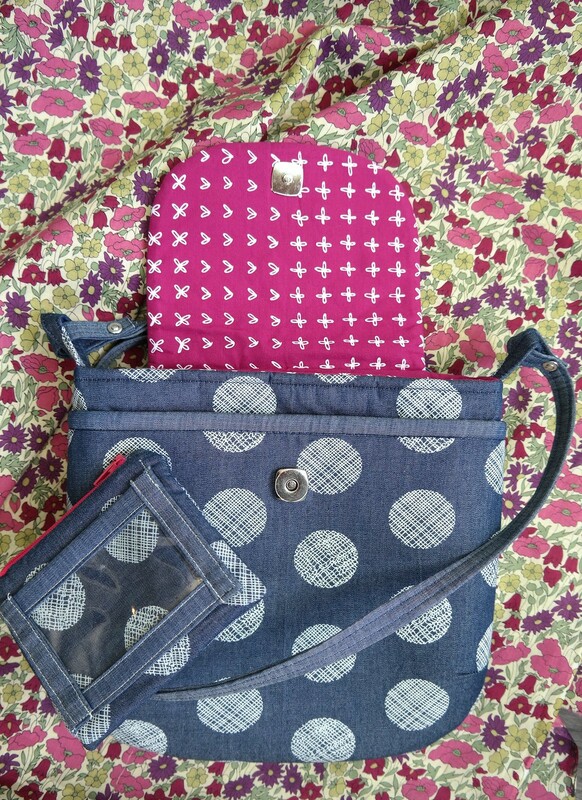 I used the new Art Gallery Fabric Denims to make the outside of the bag. 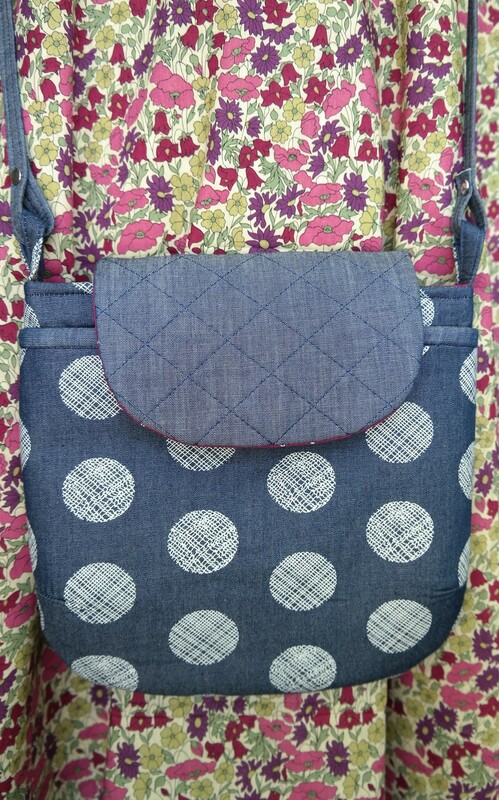 The lining is a print from Karen Lewis' Blueberry Park collection in one of my favorite colors. I also made a little card and cash zip pouch, with an outside vinyl pocket, for a driver's license. We are having a blind swap, and out of the 16 ladies attending, I don't think many are participating. I hope the person who gets this bag will like it as much as I do. I like smaller bags and this one is the perfect size for me. 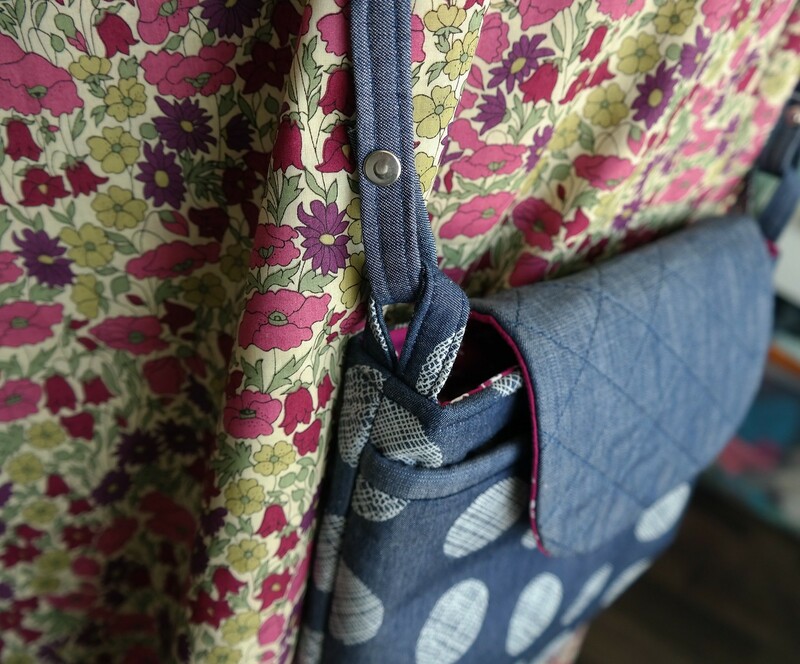 I quilted the back of the bag and the contrasting flap. I added an inserted zipper pocket to the back of the bag. Instead of tying the strap to the loops, I attached it with rivets. I like that look a lot. This looks terrific! I really like your added tweaks to the bag too! oooh! I want to make one of these! Your denim spots is SO cute! And look at that perfect zipper! Great job Di! Such a beautiful bag - love the denim and the bright pop of pink in the lining! Your alterations are great and I also like how you made the front flap without the binding.